Telecommunications services continued to deteriorate with the country’s deepening economic crisis, as users experienced frequent failures and blackouts. In November 2017, internet service providers were able to increase tariffs, but this remained insufficient to cover demands (see Availability and Ease of Access). A wave of blockings targeted online news sources during the past year. In June 2017, users from various cities in Venezuela reported that several social media platforms —including Facebook, Twitter, YouTube, and Periscope— were temporarily inaccessible (see Blocking and Filtering). A vaguely worded “Law Against Hatred” introduced hefty prison sentences for inciting hatred, including on social media, and established that intermediaries can be fined if they do not remove offending messages within six hours of their dissemination (see Legal Environment). Social media users experienced the first series of arrests under the new anti-hate speech law. In January 2018, three teenagers were detained by intelligence agents, accused of inciting hatred via chat groups and social networks calling for protests against the government (see Prosecutions and Detentions for Online Activities). Arbitrary arrests, harassment, attacks and confiscation of equipment belonging to media workers continued to be reported. In November 2017, a reporter for the website Dolar Today went missing after publishing a piece about irregularities in a penitentiary center. He reappeared a couple of days later, half naked and with signs of physical violence (see Intimidation and Violence). Political changes aimed at strengthening the government in power, such as the installation of a new National Constituent Assembly in August 2017, were accompanied by new laws curtailing freedom of expression and privacy. The Law against Hate for Peaceful, Coexistence and Tolerance (Law Against Hatred) imposed harsh prison sentences of up to twenty years for inciting hatred, including on social media. A regulation issued by the National Telecommunications Commission (CONATEL) expanded registration requirements for fixed and mobile telephone users, obliging operators to keep records of user data and provide them to state security agents upon request, without a judicial order. The deterioration and low quality of telecommunications services continued to severely limit broad and unrestricted access to the internet in Venezuela. Proactive measures to limit access to sites critical to the government have also impacted the online sphere: websites continued to be selectively blocked during specific events and independent digital media and social media accounts continued to experience frequent cyberattacks. Internet and mobile subscriptions have dwindled with Venezuela’s economic crisis. Frequent internet service failures and poor-quality connections also continued to hinder reliable access to the internet. During the coverage period, users in different states reported service breakdowns that lasted for several hours. Users also reported problems in accessing certain social media sites in June 2017, and again in January 2018. In November 2017, internet service providers were finally authorized to increase tariffs, but this hike was insufficient to cover its demands and to maintain the infrastructure. For the first time in 2016, the International Telecommunication Union (ITU) recorded a decline in the percentage of individuals using the internet, dropping to 60 percent.8 According to official figures, around 62 percent of Venezuelans used the internet in 2017. Mobile penetration figures have also declined, dropping from 102 percent in 2012 to 81 percent in the third quarter of 2017.9 Differences in internet access between the capital and rural areas have reinforced a significant digital divide in Venezuela. States such Nueva Esparta have seen penetration decline by at least three percentage points. During the report’s coverage period, President Maduro appointed a new Minister of Communication and Information, Jorge Rodríguez, who served as Mayor of Caracas and previously held the positions of Vice President of the Republic and President of the National Electoral Council (CNE). Maduro also appointed a military man, the colonel of the Bolivarian National Guard Jorge Elieser Márquez as the new director of CONATEL. While Article 35 of the Organic Law of Telecommunications provides for CONATEL’s operational and administrative autonomy, Article 40 states that the president has the power to appoint and remove the agency’s director and the other four members of its board,51 highlighting CONATEL’s lack of independence from the executive. Extended in May 2017, the state of emergency deepened concerns about increasing restrictions on online content in the midst of political turmoil. A new wave of blockings targeted online news sources during the past year, and social media platforms were also temporarily targeted. Blocking procedures lack transparency and avenues for appeal, and digital rights groups suspect many more sites are blocked. Meanwhile, a new anti-hate speech law makes intermediary platforms and websites responsible for content posted by third parties, requiring them to remove content containing hate speech within six hours of being posted or face fines. While transparency reports produced by Twitter, Facebook and Google did not show significant numbers of removal requests by Venezuelan entities during this coverage period, several laws provide avenues for limiting speech by making intermediary platforms and websites responsible for content posted by third parties. This legal framework has resulted in self-censorship and preemptive censorship (See “Media, Diversity and Content Manipulation”). Promulgated in November 2017, the Law Against Hatred notably establishes that intermediaries must remove content containing hate speech within six hours of being posted or face fines. The law also empowers authorities to block websites when, in their opinion, they promote hatred or intolerance.67 The Law on Social Responsibility on Radio, Television, and Electronic Media (the Resorte-ME law) also establishes that intermediary websites can be held liable for content posted by third parties, and grants CONATEL the discretional capacity to impose severe penalties for violations. Its provisions notably forbid messages that promote anxiety among the population, alter public order, disregard legal authorities, or promote violation of existing laws. Compared to traditional media, the digital sphere presents a more vibrant space for political and social expression. Newspapers have migrated to the web due to restrictions on print, while broadcast media have also forged an online presence. Social networks such as Twitter are popular platforms for users seeking information at crucial moments. Politicians and social leaders also actively use them.68 Faced with a shortage of cash, Venezuelans have also increasingly resorted to online bank transfers, and electronic payment applications have emerged.69 As a result, online banking services such as Clavenet receive even more visits than Facebook in Venezuela.70 On the other hand, connectivity problems and poor service quality present serious constraints for accessing information online. Some groups have opted for these platforms to make public statements against the regime. Two messages went viral on social networks during this coverage period. The first was a video broadcast via YouTube in August 2017, before the installation of the Constituent Assembly, and featured a military group (later detained) aiming "to restore the constitutional order.”88 The other one was developed by the pilot Oscar Pérez, who used YouTube and his Twitter and Instagram accounts to call for an uprising against the government, and later narrated and left testimony about his surrender and death (see “Blocking and Filtering”). Violations of digital rights have intensified in the midst of Venezuela’s social and political crisis. The Maduro government continued to tighten its grip on online speech through a restrictive anti-hate speech law that carries prison sentences of up to twenty years for those who incite hatred or violence by any electronic means. Users were arbitrarily arrested for opinions shared online, and cyberattacks targeted several media and nonprofit websites. There are increasing concerns about the government’s ability to misuse personal data as a means of social and political control, especially in light of the massive implementation of the “Carnet de la Patria” (the Fatherland Card), an electronic identification document used for welfare and public programs. Although the Constitution guarantees freedom of expression,92 the government has passed laws and regulations that curtail this right online. The prolonged state of exception and economic emergency includes provisions on countering cyber threats, authorizing regulations to prevent “destabilization campaigns.”93 A vaguely worded anti-hate speech law promulgated in November 2017 imposes hefty prison sentences for inciting hatred, including on social media. The past year was marked by frequent arbitrary detentions of reporters,101 as well as the first arrests of social media users under the new “Law Against Hatred” adopted in November 2017. Government surveillance and counterintelligence activities have increased since 2013, when the government released its 2013-2019 “Plan de la Patria,” which emphasized strengthening national defense among its priorities.116 Digital activists have expressed alarm regarding the government’s growing appetite to invest in intelligence systems and operations.117 Concerns have also emerged regarding initiatives seeking to collect personal information from citizens, with no guarantees regarding the privacy and treatment of this data. During the past year, worrying developments included the mass distribution of the Carnet de la Patria (“Fatherland Card”), as well as a new ruling aimed at obtaining and retaining personal data of users of telecommunication services, particularly mobile telephony. The constitution expressly prohibits anonymity. In order to buy a cellphone, a SIM card, or a USB modem to access mobile broadband, Venezuelan law requires customers to register their personal ID number, address, signature, and fingerprints.120 There are no known government restrictions on encryption technologies or other digital privacy tools. 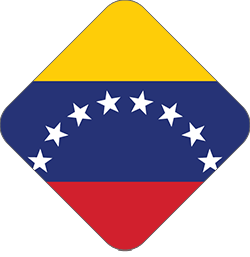 Furthermore, Venezuelan laws, such as the Law against Cybercrime and the Law to Protect Communication Privacy, guarantee the privacy of communications.121 In practice, however, authorities have failed to apply these laws evenly in cases where activists have sued for protection under the law.122 Although the Constitution recognizes principles applicable to the protection of personal data, such as safeguard of honor, privacy, public image, confidentiality, and reputation, as well as access to information, there are no laws or telecommunications regulations dedicated to data protection. First introduced in February 2017, the Fatherland Card is an identity document that collects basic data such as address and date of birth, but also other kinds of personal information such as political party membership.126 During a period marked by a severe food shortage, the card began to be required to access benefits of so-called “social missions”, including the food program controlled by the Local Committees for Supply and Production (CLAP), made up of military officials and government supporters. 16 María De Lourdes Vásquez, “Reportan fallas en servicios telefónicos e internet en al menos 12 estados,” El Universal, January 10, 2018. 43 Henkel García (2017), “Sector telecomunicaciones en números económicos,” Private presentation for CASETEL. 57 This event occurred outside the coverage period of this report. 148 Front Line Defenders, “VENDATA fue objeto de un ataque cibernético,” May 15, 2018. https://www.frontlinedefenders.org/es/case/vendata-target-cyber-attack; Interview with the journalist via email.